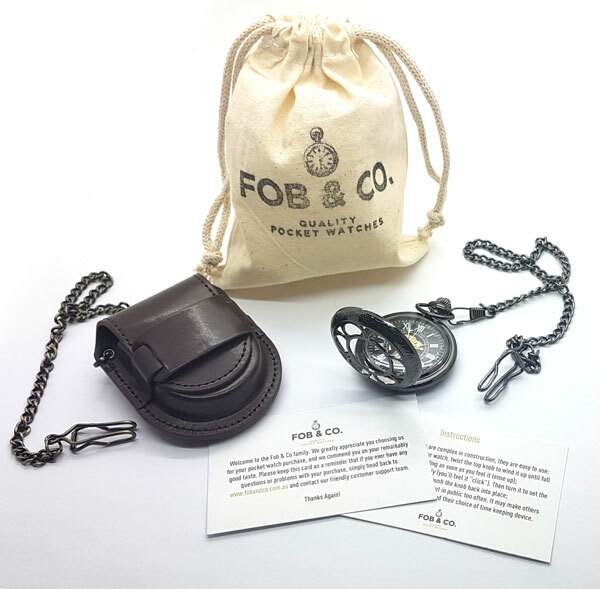 Asymmetric Dragon Hunter Pocket Watch - Fob & Co. 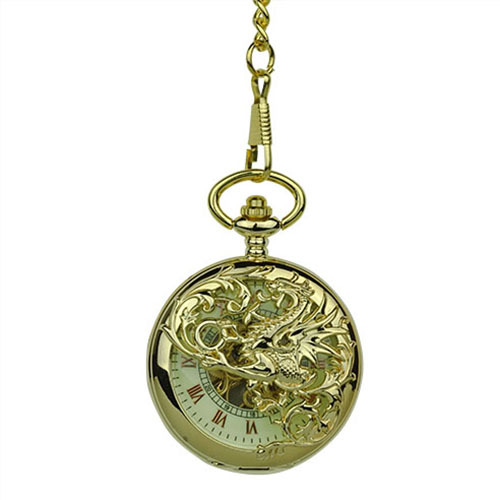 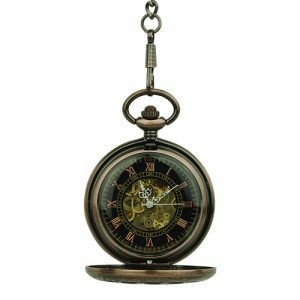 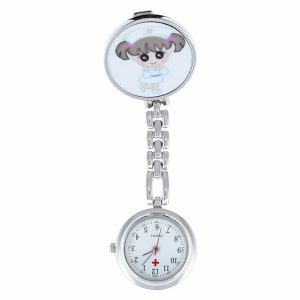 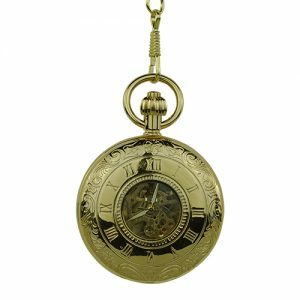 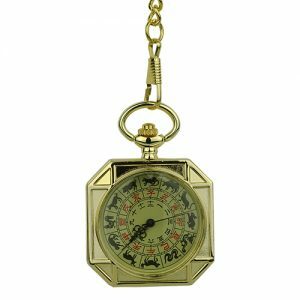 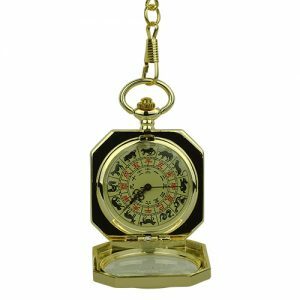 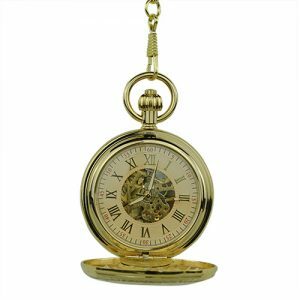 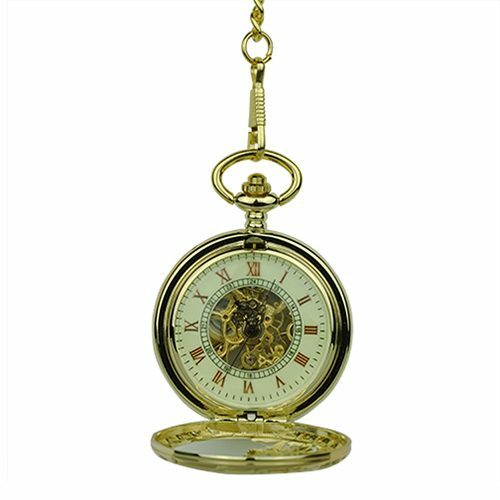 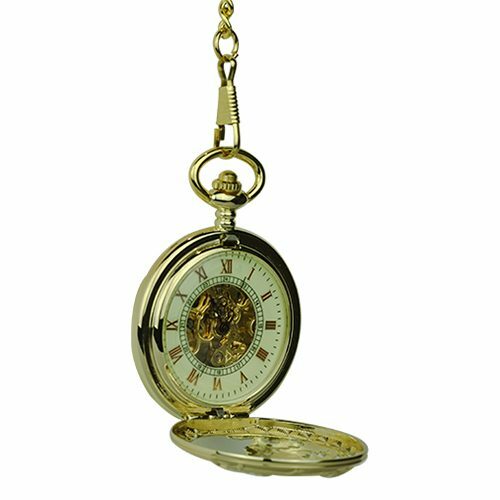 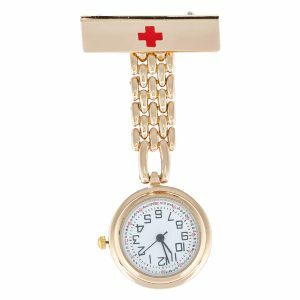 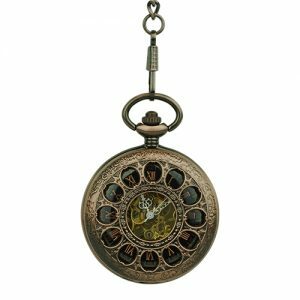 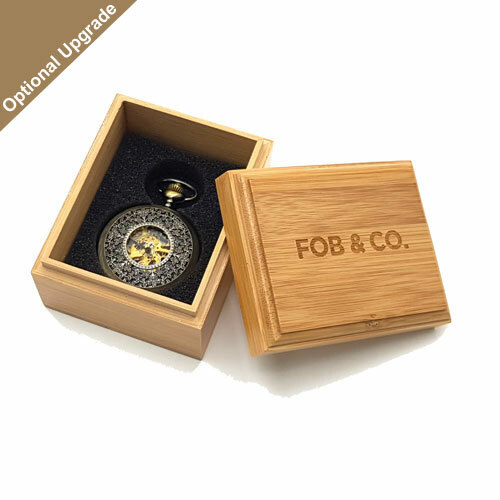 Check out this beast themed pocket watch that has an intricately crafted, gold dragon adorning its front cover while the inside exhibits brass Roman numerals against a white background topped with a silver skeleton. 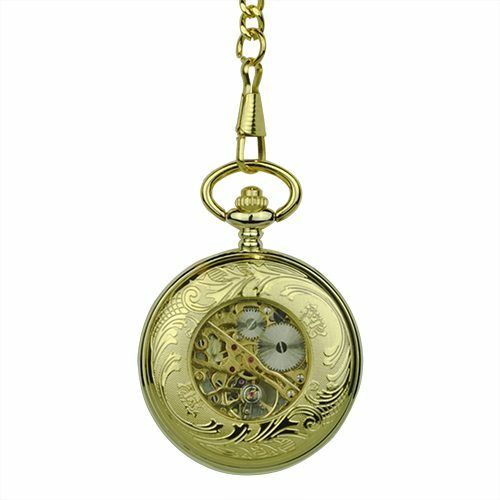 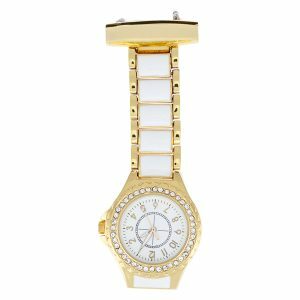 Turn it over to see the back cover decorated with wavy floral patterns and a window to offer another glimpse of the gold inner workings.